Restaurant concepts seek investment to launch their brand. Fred Sirieix welcomes a soul food-inspired takeaway and a vegan Thai grab-and-go idea. Fred Sirieix welcomes Trap Kitchen, a soul food-inspired takeaway selling lobster tails, from south London, and Greedy Khao, a vegan Thai grab-and-go idea, to Manchester. 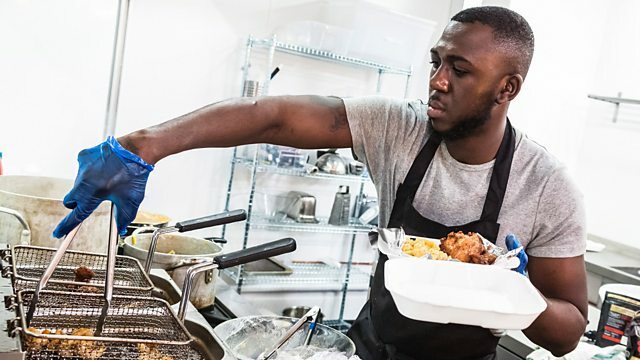 Trap Kitchen is seeking £500,000 to become the next Nando's. Greedy Khao is looking for £225,000 for a 25 per cent share. Trap Kitchen was dreamt up a year ago by Prince, 27, from his mum's council flat in south London. Since then it has become a social media sensation, amassing 43,000 Instagram followers. On three evenings a week, Prince's customers park outside his block of flats, place an order for one of three meal boxes and wait for their food to be delivered. His Baller's Combo box costs £20 for spiced lobster tails, prawns, chicken, mac 'n' cheese and a Belgian waffle. He currently turns over 200 meals a night and takes around £10,000 a week. Two investors are interested in Trap Kitchen. David Page is the chairman of restaurant investment vehicle Fulham Shore and one of the UK's most successful investors - the man behind international brands including Pizza Express, Gourmet Burger Kitchen, the Real Greek and Franco Manca. David is always looking for simple ideas that can be rolled out into national brands. Scott Collins is the co-founder of hit burger and cocktail group MEATliquor, which has grown to a group of 13 restaurants with sites in Brighton, across London and in Leeds. Greedy Khao has run as a successful food stall for just six months, selling vegan versions of classic Thai dishes, using meat substitutes like tofu, seitan and jackfruit. Established by husband-and-wife team Lee and Faai, its goal is to take a slice of the grab-and-go lunch market from brands like Leon and Wasabi. All food is based on Faai's family cooking in Bangkok. One investor is interested in Greedy Khao - Chris Miller, the founder of restaurant investment vehicle White Rabbit Fund. Since 2016, he has invested in Indian tapas chain Kricket, Hawaiian grab-and-go restaurant Island Poke, Italian heritage brand Lina Stores, and he is about to launch a modern Chinese in the City. Can these two takeaway ideas convince the investors they have what it takes to becomes national grab-and-go brands? Or will they leave Manchester with nothing?